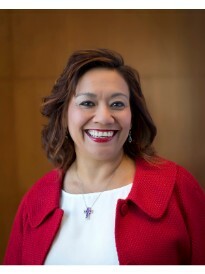 Maria Segura is a franchise owner of a Goosehead Insurance agency in Houston, TX. Maria and her team are committed to finding the best coverage at the best price by shopping over 20 A rated carriers on behalf of our customers. Maria’s primary goal is to provide you with outstanding customer service and an honest, thoughtful, problem-solving insurance experience. Prior to partnering with Goosehead, Maria worked as a Liberty Mutual agent for 20 years where she developed her professional integrity and experience in the insurance industry. She was named a Top Agent in Texas for over 4 consecutive years in a row. Outside of work, Maria enjoys spending time with her husband, 2 sons, daughter and son-in-law as well as their granddaughter. They enjoy traveling, and simply spending quality time together. Maria and her team are excited about working with you and look forward to becoming your trusted insurance advisers for years to come.